Photo booth technology has changed a lot these days. Gone are the days of curtain-drawn boxes and low quality outputs. TapSnap has taken over the photo booth industry with open-air, digitally-integrated, and fully customizable kiosks. 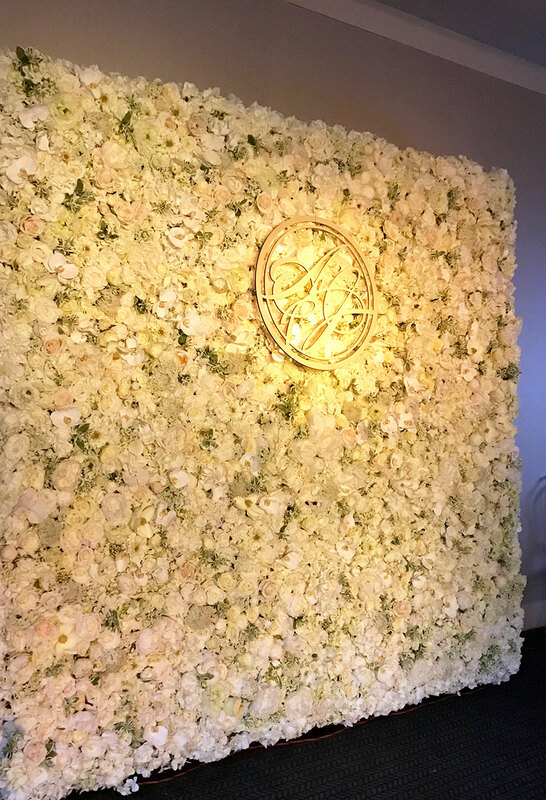 When paired with my silk flower walls as a backdrop, party guests take home beautiful keepsakes and instantly share photos on social media. 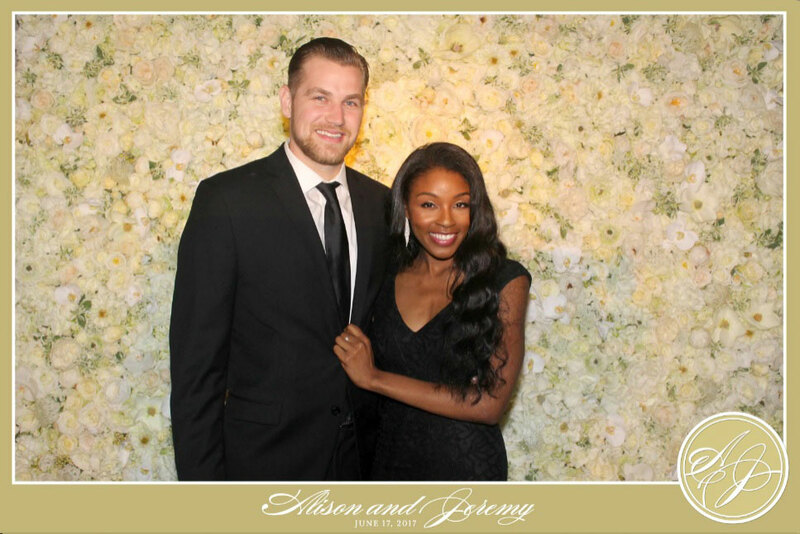 In an open-air setting, guests can pose for pictures in front of my wall or a green screen then use a touch screen to drag and drop digital props, write messages, and add filters. It’s like “reality Instagram and Snapchat” because the photos are sent to you instantly for sharing on social media. 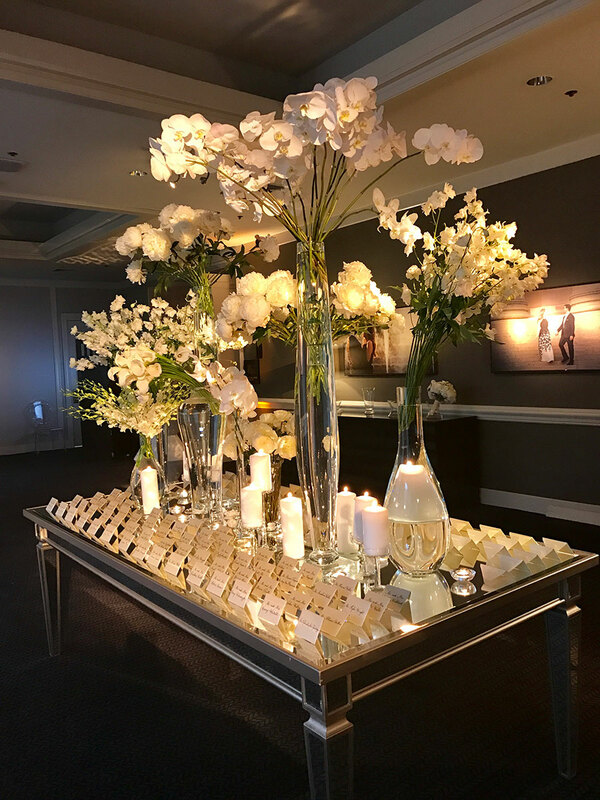 Guests can add the event hashtag or the bride and groom’s hashtag and share party images all night long. If there is a screen and projector set up at the event, the TapSnap action can be displayed at the event in real time. I recently worked with TapSnap at a wedding at The Logan in Philadelphia and was amazed. The set up was quiet and quick, guests were easily engaged, and they had a great time creating fun photos to take home. I try to work with top-notch vendors and TapSnap fits the bill! The team is experienced and the photos are taken with a professional DSLR camera. No grainy photos, just beautiful glossy prints with fun props and digital embellishments to add on, if desired. Here are some photos from the event. I’ve included images of the dining tables and place settings as well. TapSnap was a step above the traditional photo booth and blended well with the sophisticated style of the décor by Evantine Design.